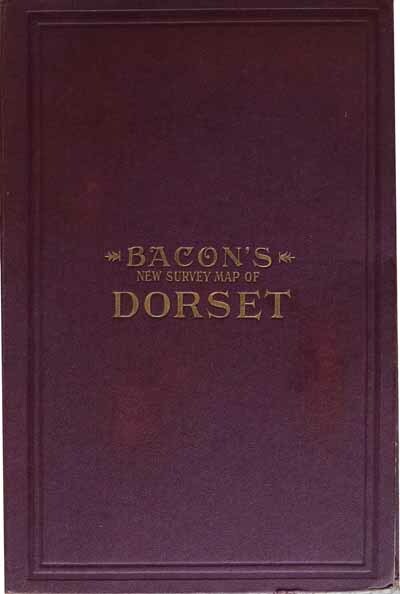 Bacon’s New Survey Map of Dorset, undated, usually dated 1900 – 1910. A folded map in two parts, when folded out 103×79 cms (40.5×31 ins), folding down to 18x27cms (7×10.5 ins). Scale 3/4 inch to a mile (1:84,480). 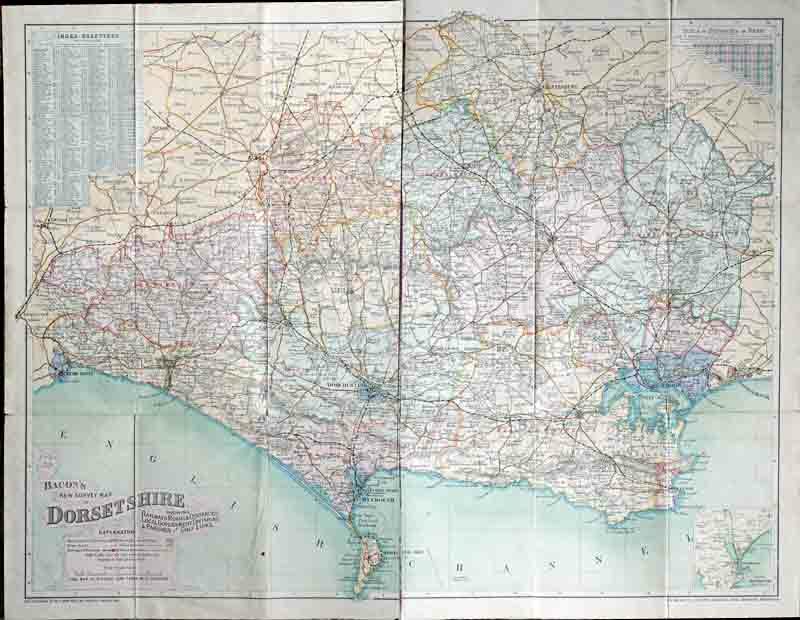 Includes distances between main towns, heights of hills in feet and golf courses. Two digital photographs merged into a single image.